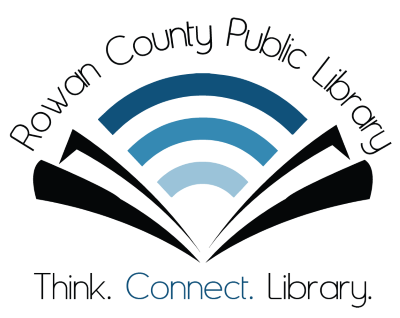 Below, we’ve tried to answer some of the most common question that patrons have about your Rowan County Public Library. If you’re new to the library or unsure about some of our services or policies, please take a look at the information on this page to see whether your own questions are addressed here. The contents of this page may change from time to time, so take a look once in a while to see if anything new has been added! Your Rowan County Public Library is open seven (7) days a week! Just let us know at the front circulation desk that you want to get a library card, and we’ll give you a form you can fill in with your name, address, and so on. All you need to bring is a current photo ID! Children or other patrons who require a responsible party will need to have that person present in order to receive their own cards. You can learn more about library cards by clicking here. You can also click here to start the process of getting a card online, and finish up in person later. Does a library card cost anything? If you live in Kentucky, your first library card is free! If you lose your card, it’s only $1.00 for a replacement. If you live outside our state, there’s a one-time $10.00 fee to receive a card. You can learn more about it here. Nonfiction materials (including audiobooks and Playaways) are shelved using the Dewey Decimal classification system. You can learn more about Dewey here, here, or here! Fiction materials (including audiobooks and Playaways) and biographies are shelved in alphabetical order by author or editor’s last name, and then by series order or title. Music is shelved in alphabetical order by artist, and then by series order or album title. Movies are shelved in alphabetical order by title. Video games are shelved by system and then alphabetically by title. Periodicals are shelved in alphabetical order by publication title, with back issues in chronological order by publication date. And of course, you can always ask for assistance from any library staff member! Any patron can have as many as 20 total items on loan to their account at one time. Keep in mind that some kinds of materials have their own limits: You can only borrow six (6) movies at once, and just one (1) video game, but those are within your total limit of 20 items. Please note that if you are responsible for other accounts, such as a child’s, maxing any of those accounts out at 20 items can prevent linked accounts from borrowing further, so it’s best to keep everyone at 19 items if you’re part of a borrowing family! We lend most items for four (4) weeks, or 28 days, with a single renewal for the same period. Please note that we lend video games for two (2) weeks, or 14 days, and movies and WiFi hotspots for one (1) week, or seven (7) days; these items cannot be renewed, so make sure you try to check them back in on time! You can always check them back out again, or place them on reserve for a later date if they’ve been reserved by another patron. What fines and fees does the library charge? For most items, we charge a fine of .10¢ per day overdue. Movies, video games, and musical instruments are $1.00 per day overdue, and WiFi hotspots are $10.00 per day overdue. We also assess fines for any items you lose; you can learn more about these policies on our fines and fees page. You can continue to borrow items as long as your total account balance doesn’t exceed $5.00, and you’re free to use our computers even if you go over that amount. Please note that if you are responsible for other accounts, such as a child’s, a balance of $5.01 or greater on any of those accounts can prevent linked accounts from borrowing further, so be sure to keep an eye on your whole family’s fines and fees! How do I log onto a library computer? If you have a library card, you can simply choose any available computer station and click the screen to select “log in as patron.” You’ll be prompted to enter your library card number in the first box; this number is fourteen (14) digits long (no spaces), located on the back of your card. Enter your PIN or password in the second box, then click “confirm” to see our computer usage policies. You’ll have to click “accept” in the top right-hand corner of the screen to acknowledge these policies and go to the desktop. Once there, you can use the computer normally! A small window at the top of the screen will indicate how much time remains in your session, but you’ll automatically get more time as long as no other patrons have made reservations to use a computer. That means you can stay on for as long as you like, unless the computers are full. When you’re finished, click the purple “end session” button and confirm that you’d like to log out; the computer will reset itself and erase any personal information you entered, so be sure to save your work to the cloud or to a removable storage device such as a thumb drive! If you don’t have a library card, this process is almost the same, except you’ll need to request a guest pass at the front circulation desk. When you log onto a computer, choose “log in as guest” instead of “log in as patron,” and use the codes provided on your guest pass for your library card number and PIN. Guest passes are good for one (1) business day, so they’ll work for you until we close for the evening, even if you leave the library and come back later! What are the library’s computer usage policies? We ask that patrons practice common courtesy when using library computers. You can request headphones at the front circulation desk if you’d like to play games, watch videos, or perform other activities for which you’ll need sound; just please keep your volume at a level that doesn’t disturb other people, nearby. You may find that some websites containing sensitive, graphic, or explicit material are blocked; please try to avoid such sites while using our equipment and network. Failure to do so may result in a loss of computer privileges, so browse respectfully! How do I connect to the library’s WiFi? Our network is named “RCPL Free WiFi.” Simply perform a network search on your device (or refresh your list of available networks) and select our WiFi to connect. You may wish to select “connect automatically,” if the option is available, so that your device will perform this operation on its own when you visit us in the future. What are the library’s WiFi usage policies? Normal browsing activities are permitted on our wireless network, but the library cannot endorse online piracy, and torrenting is strictly prohibited. Patrons who consistently use an enormous amount of bandwidth or who are found to be employing torrent clients and similar programs may find their devices rejected by our network. How do I print something at the library? Simply use the normal print buttons or commands for whatever program you’d like to print from! You’ll see a print dialogue where you can select black-and-white or color copies, and our software will show you the total number of pages and the final cost of your print job (.10¢ per page for black-and-white, .50¢ per page for color). You’ll be asked to confirm the print, and then your job will be sent to our patron printing station by the bookstore. To complete your print, select “release a print job” on the computer at the printing station and enter your library card number in the box when prompted. Choose your job from the list, preview it if you like, then put the appropriate amount into the coin and bill acceptor to the left of the printing station ($1.00 bills and silver coins only). Once you’ve paid, click the “print” button in the top left-hand corner of the screen on the computer, and your copies will come out in the blue section of the printer to the right. Change is provided through the coin and bill acceptor, and will deposit behind the small silver door toward the bottom. If you want to print something from your own device, such as a personal laptop, tablet, or smartphone, we also have mobile printing. You can jump straight to that from our website by using the sliding blue printing button at the right. If you have trouble printing, or just need assistance, feel free to ask any library staff member and we’ll gladly walk you through it! Yes, we have two (2) copy machines available to patrons. Black-and-white copies are .10¢ per page, and color copies are .50¢ per page. Simply ask for help at the front circulation desk! Can I fax at the library? You can! We provide cover sheets for your faxes at no cost to you, if you’d like one, and can receive or help you send faxes for $1.00 per page. Just ask for assistance at the front circulation desk. Does the library have a lost-and-found? Yes! People misplace items in the library all the time, and our community is wonderful about turning found items in to us. If we find something that’s obviously lost and can identify the owner, we’ll try to contact you right away; otherwise, if you’ve lost something at the library, just ask a staff member at the front circulation desk. You’ll need to describe the item as best you’re able so that we can find it for you. Absolutely! There are all kinds of ways to support your local library, and donations are one of the most helpful. We’ll gladly take any book that’s in good condition (no fire or water damage, no mold, etc.) and give you a receipt for tax purposes, if you want one. You can bring donations straight to the front circulation desk, if they’re small, or call ahead for a big donation and we’ll help you unload at the rear drive-through.